What if your God-given gifts were mined? What if joy and imagination weren’t relegated to the playground, but were continually at play in music? What if art teachers valued your ideas and gave you the guidance and skills to create them? What if master artists and ancient artifacts lived next door and the door was always open? What if your school looked to you - an actor, singer, dancer - to lead? What if your God-given gifts were mined, sending you forth with a greater knowledge of who you are meant to be? Work together with invested teachers and friends in a culture that honors and invites artistic pursuit. The journey toward the product is full of challenges. embracing the whole of life. Students have many opportunities to participate in grade level and school wide exhibitions and productions throughout the year for peers, teachers, parents, grandparents and special friends. 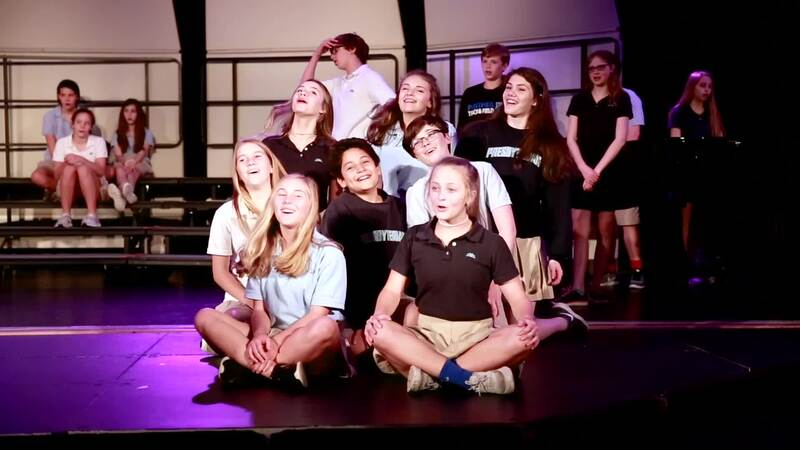 The School's fine arts department is made of a dozen experienced full-time faculty members and part-time expert professionals from the community who specialize in art, music, drama and dance. 7th and 8th grade students take a fine arts elective every day. There have been over 90 different classes in performing and studio arts offered to students to ignite creativity and exercise their imaginations. The proximity of world renowned institutions in the city has allowed the School to forge many partnerships with institutions in the Arts, Sciences and Medicine to expand our student's learning. The School is part of an archipelago of the arts and academia in the heart of Houston's Museum District. Students walk out of the school and into over 20 museums without ever boarding a bus.